Most new refrigerators come with an option for water hookups for ice and filtered water. However, because this is a new feature, most older homes aren’t equipped with a line to supply the refrigerator with the needed water. This generally means that you will need to install some plumbing for your fridge to get your icemaker up and running. 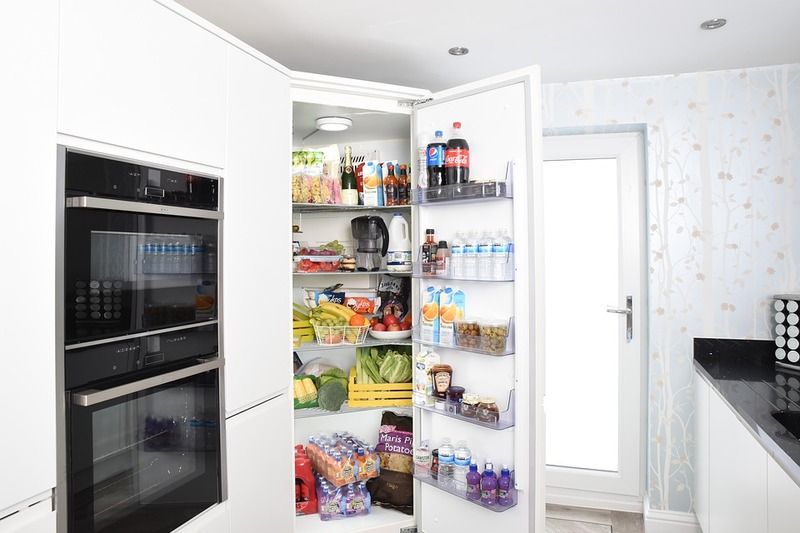 Depending on where your fridge is located in your kitchen, this can be easy or difficult. Running the water line will require drilling into an existing cold water pipe and then running a flexible hose to wherever your refrigerator is hooked up. These tasks can be moderately difficult, so if you aren’t confident in your ability to perform the tasks, it might be best to have a professional do that job. Determine which cold water pipe you are connecting your waterline to. You can use the pipe below the kitchen sink or one in the wall, ceiling, or floor. It doesn’t matter, as long as it’s close to where the refrigerator is located. Disconnect your fridge from the electric outlet and shut off the water to that pipe. Drain the pipe to make sure there is no water in it. Cut off a small portion of the pipe, then attach the copper tee, soldering around the edges. Cut a three-inch piece of copper pipe and solder it to the copper tee. Solder your water supply stop valve to the other end of the copper pipe. After the soldering has cooled, turn the water back and run it through the pipe to make sure there are no leaks. If you are going through the cabinets, you should plan the route for your tubing to make sure there are no corners, as they can obstruct your tubing system. Snake the tubing through the route, then attach to the water supply stop valve using a compression joint. Secure the tubing to the cabinet using nylon wire and cable clamps. Make sure attachments are spaced out by 2 to 4 feet. Before attaching the line to the fridge, clear out the tubing by running at least a gallon of water through it and into a pail of water. Cut the tubing to the final length, leaving at least 6 feet of coiled tubing at the end. Then you can attach the tubing to the fridge, using the compression fittings that came with the refrigerator. After the tubing is connected, check the water system attached to the refrigerator for leaks. While attaching water tubing for your refrigerator may seem like a daunting task, if done right, you will enjoy the cold, refreshing fruits of your labor for a long time.